Is Excel truly meeting your inventory management needs? 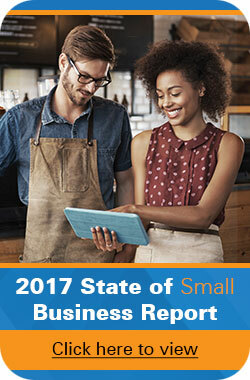 Small businesses, with a small staff and a small amount of inventory, may successfully use Excel. However, as a business grows, the limitations of Excel become very real obstacles. Moving to a more efficient, cost effective inventory management system eliminates the negative effects of inaccurate inventory counts. These widespread, negative effects impact your profit and your customers’ experience. There are two, broad Excel limitations: data entry inaccuracy and forecasting inadequacy. Keeping track of a large inventory in Excel increases the probability of data entry errors, especially if your inventory moves frequently from location to location. You or your staff will waste more time verifying not only your inventory workbook totals but whether the inventory details (item, location, etc.) truly reflect what’s in your warehouse. Additionally, if your inventory is currently tracked within a single Excel workbook, you are limited to one individual accessing and updating at a time. The likelihood that same individual is the one actually adding/removing/moving inventory is slim. Multiple individuals working with your inventory, when only one can edit your workbook at a time, only increases the opportunity for errors. At any time, your Excel workbook could be out-of-sync with your actual inventory count. If you haven’t updated inventory numbers, what you see in Excel may not reflect what you actually have on-hand. Forecasters, such as supply and demand analysts or inventory planners, decide on the quantity of inventory to purchase with the information they have available. This information, which should include current inventory levels and the resulting decisions, can sometimes result in an overage, especially if the information is inaccurate. Not only is money wasted when you have too much of a specific item; the problem is only compounded when you don’t know you have too much. Effective inventory management requires you to know how much of a certain item you need on-hand at any given time – not just seasonally. The ability to forecast inventory need is essential to meeting your customers’ demands. How Do You Track Inventory? Your answer to this question of how determines whether your business is earning or losing money because of your inventory tracking method. How your business accounts for inventory makes a difference in how it spends and makes money. If you fail to order enough inventory, your business risks losing customers. On the other hand, if you order too much inventory, you may have to discount inventories to get products out the door, a money-losing proposition. So, why hesitate moving to something other than Excel? Analyze how much money you’re losing due to loss of sales or due to loss of actual inventory, and then compare that loss to the cost of investing in an inventory management solution. When you complete the analysis, you will have, on paper, the very reason you need to move away from Excel. Remember, administrative errors, such as errors in receiving processes or accounting errors, account for 15.3 percent of inventory loss. Continuing to use Excel to manage your growing business (just because it’s easy, convenient, and cost effective) will only cost you more money in the long-term. Individuals who have made the transition from Excel to an inventory management solution, like Wasp’s Inventory Control solution, have seen a quick return on the investment. Have you outgrown Excel to track your inventory? Tell us in the comments. What are the Advantages of 2D Barcodes? I agree, the benefits of implementing an automated solution cannot be ignored. We were using excel for many years & we would take quarterly inventories that were oftentimes loaded with errors – not to mention we could only conduct them outside of business hours. As a small business owner, I’m always concerned with keeping costs down. But I didn’t realized that by trying to cut corners, I may actually be causing my company more money in the long run. Excel worked fine in the beginning, but as my company has grown, I have already seen first hand how it is now holding me back and causing inventory problems. This is a great article and every business should look into a better solution.